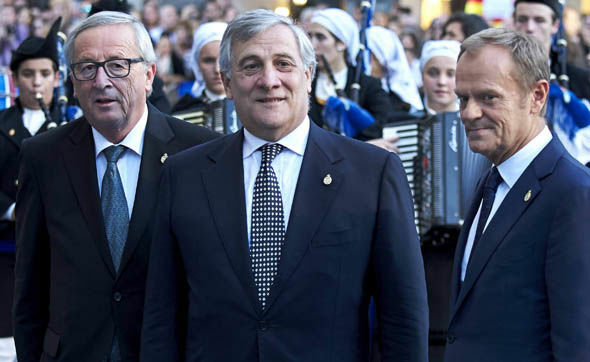 The report, by Italian left-winger Laura Agea, says the laws already exist for the European Union (EU) to take control over something which national governments have previously assumed is solely their competence. 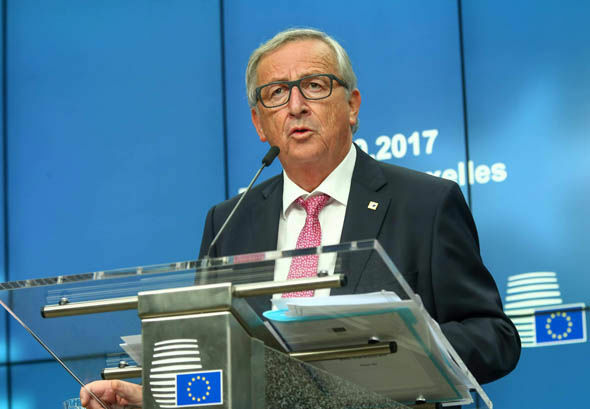 The EU’s Committee on Employment and Social Affairs stops short of guaranteeing a minimum wage but so-called “minimum income schemes” would inevitably mean handing more powers to Brussels bureaucrats in being able to determine wages and social security programmes. If introduced, the scheme will guarantee a minimum level of income to all citizens. Even if the EU parliament votes for such a move it has no legislative power and can only make advisory proposals. Member states can still veto such a move. Also buried in the report is an attempt to extend the tentacles of the EU into other areas that could be of concern for national sovereignty. Along with an attempt to “ensure an income that is above the poverty line”, the report says that these moves should be accompanied by “the provision of public services such as health, education and childcare”. Such a move could give Brussels an open door to start dictating over a country’s domestic policies and start to impose rules and regulations. The proposal would also bring an end to contributions-based payments where people have to pay in before they can receive any benefit. The report says there is a “need to create a European minimum income framework” and states that Europe “should make every possible effort to try to achieve the goals of the Europe 2020 strategy which establishes, as a fundamental target, that of enabling people living in poverty and social exclusion to be lifted out of that state”. It reads: “To date this goal can essentially be achieved through active labour market, training and support policies for individuals in any area in which they are involved. “New jobs can be created by focusing on those sectors which, as we know today, are the most suitable for substantial investment, such as the circular economy, the green economy and the social economy, ensuring that skills are updated and those already acquired are enhanced. “A further basic request put forward by this report is to use relevant common indicators that can ensure economic and social cohesion and reduce the risk of different pay levels for the same activities. Any move is likely to be met with strong resistance from some of the East European members of the EU who have so far resisted attempts at closer integration with the likes of the right wing leader of Hungary, Viktor Orban, expected to strongly oppose such a move. The EU Parliament vote is likely to be backed by the more integrationist countries such as France and Germany who, under Emmanuel Macron and Angela Merkel, are pushing for greater integration. 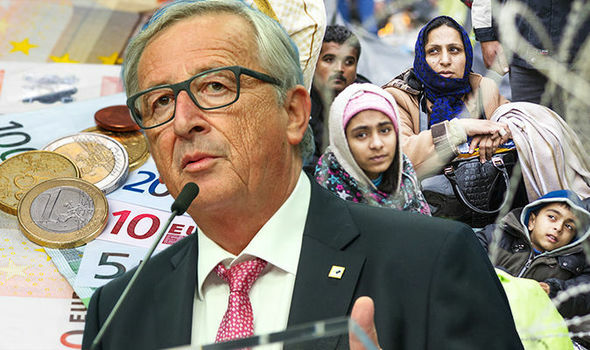 Jayne Adye, director of the campaign group Get Britain Out told Express.co.uk: “This is a naked power grab by the EU – stripping even more control over the welfare and work systems of EU Member States. “The EU is recklessly ignoring the differences between countries. A liveable minimum income in Germany would be very high in Bulgaria, and these changes would have devastating effects for poorer European countries. Worse still, approving this report would dismantle contributory systems – so what you pay in would have no relation to what you get back – a recipe for ingratitude and indolence, and would prove a disservice to those who’ve paid into their national systems. “It may all sound good in some remote bureaucrat’s head, but in practice it would be devastating. “Seizing on such important policy areas is also a brazen assault on national sovereignty, part of the one-way ratchet towards an EU federal superstate. If we were staying inside the EU, we too would be on track to lose control over this vital area. Thank goodness the UK voted to Leave! Brexit expert Trixy Sanderson said: “The idea of a minimum income scheme is the kind of thing that a country does and the fact that MEPs will inevitably be supporting this idea means they view the future as a country called Europe. The idea is that an automated system, thought to still be in development, will use the database to pick out individual voices in telephone and other conversations, boosting the government’s already expansive surveillance capabilities. The system is reportedly being developed by a Chinese voice recognition and artificial intelligence specialist called iFlytech. It adds another spoke to existing biometric information like fingerprints and DNA samples, as well as identification numbers and other personal details. How long has China been collecting voice data? Biometric records are a common tool of law enforcement worldwide and some countries, like Japan, even fingerprint foreignerson entry — ostensibly as an anti-terrorism measure. In China, the DNA of some 40 million people, and over one billion faces, are already logged on police databases. Compared to that, mass scale biometric voice recognition is in its infancy. China’s Ministry of Public Security started piloting the database in 2012 and scaled the program up in 2014. HRW does not give current numbers but by 2015, it says, police had collected 70,000 voice patterns in one of the project’s pilot provinces. In 2016, HRW tracked purchases of voice recognition systems in several other provinces, included in Xinjiang, a restive region with 11 million ethnic minority Uighurs. Why does China say it needs to collect people’s voices? Chinese police are allowed to collect voice patterns and other biometric data from anyone suspected of “violating the law or committing crimes.” But HRW says that through 2017 there were multiple instances of police collecting voice samples from ordinary citizens, including at least one instance in which applicants for passports in Xinjiang were required to submit a voice sample. No publicly available official policy documents outline why this is necessary, according to HRW. Government reports in the media claim that voice recognition software has helped to solve fraud, drug trafficking, kidnapping, and blackmail cases. These reports also state that such systems will serve a counterterrorism function and say they will also be applied for “stability maintenance” purposes. Why are human rights groups concerned? For another, it’s unclear who can be targeted for voice sampling and how the samples will be used. “Authorities can easily misuse that data in a country with a long history of unchecked surveillance and retaliation against critics,” Sophie Richardson, HRW’s China director says. Beijing’s growing surveillance capability coincides with a broader clamp down on dissent. China openly tracks the movements of dissidents, has installed CCTV cameras outside activists’ houses, jailed people who criticize the government on social media, and cracked down on VPN‘s that allow unfettered access to the internet. It has even banned Winnie the Pooh. The strongman Russian President spoke to a crowd of students about the prospect of an army of trained killers incapable of feeling “pain or fear” much like the characters in 1992 action movie Universal Soldier. He revealed that scientists are close to breaking the genetic code which would enable them to create “a human with pre-designed characteristics”. He said: “A man has the opportunity to get into the genetic code created by either nature, or as religious people would say, by the God. “All kinds of practical consequences may follow. One may imagine that a man can create a man not only theoretically but also practically. “He can be a genius mathematician, a brilliant musician or a soldier, a man who can fight without fear, compassion, regret or pain. The autocrat warned that world leaders must agree on regulations to control the creation of mass-killing super soldiers. Last month, Putin revealed he is afraid humans in the future will be hunted and EATEN alive by flesh-munching robots. The infamously icy-veined Russian leader showed his more anxious side while discussing artificial intelligence (AI) at an event in Moscow. Former KGB spy Putin asked Arkady Volozh, chief of internet firm Yandex, when the technology will “eat us”, reports RT. Volozh, who was giving Putin a tour of the company’s headquarters, appeared to be taken aback by the question. But after a pause, he used the analogy of excavators and explained that they are better at digging than people. And keen to avoid a Cold War-style arms race, the Russian President claimed he would share his country’s “know-how” with other nations. But these operate separately and are on a much smaller scale. There is also a national database of police suspects and people of interest to the government. These may continue to be used independently after the national system is established. He said a palm-sized commercial hard drive nowadays could store 10 terabytes or more of data and you could “pack it in a suitcase and board a flight”. “If the facial data and related personal information is stolen and put on the internet, it will cause big problems,” Cheng said. But a network security vendor for the Ministry of Public Security dismissed the possibility. “Currently the access to the database is limited to a few security companies with very close ties with the Ministry of Public Security. TOKYO — As tensions on the Korean Peninsula reach new heights with Pyongyang’s latest nuclear test, Japan is planning for a possible mass evacuation of the nearly 60,000 Japanese citizens currently living in or visiting South Korea. There are currently about 38,000 long-term Japanese residents in South Korea, as well as another 19,000 or so tourists and other short-term travelers. “If the U.S. decided on a military strike against the North, the Japanese government would start moving toward an evacuation on its own accord regardless of whether the American plans are public,” a Japanese government source said. Tokyo is working on a four-tier emergency plan based on the severity of the situation: discouraging unessential travel to South Korea, discouraging all travel to South Korea, urging Japanese citizens there to evacuate, and finally, urging them to shelter in place. Should skirmishes erupt between the two Koreas, for example, the Japanese government would discourage all new travel to South Korea. At the same time, it would urge citizens already there to evacuate using commercial flights. Although the Japanese Embassy would help secure airline reservations, the government’s role under this scenario would mainly be to provide information. But Japan would need to coordinate with South Korean authorities under a shelter-in-place scenario. If Pyongyang launched a major military attack that leads to the closure of South Korean airports, the Japanese embassy would urge citizens still in the country to stay at home, or move to a safer area within the South. Seoul has agreed to give Japanese citizens access to safe zones, such as designated subway stations, churches and shopping malls, according to a Japanese source. The Japanese government has already provided its citizens in South Korea with information on over 900 such facilities. In the event of airport closures, the best option for Japanese citizens to return home would be by sea from the southeastern port city of Busan. The Japanese government is working to obtain cooperation from U.S. forces stationed in South Korea to transport evacuees across the country from Seoul to Busan. The Japanese Self-Defense Forces would need permission from South Korea’s government to operate inside the country. Approval has not been forthcoming and could provoke a backlash from a South Korean public harboring historical grievances at the former colonial power. But SDF vessels could help in ferrying Japanese citizens home from Busan. Such a crises could make it easier for terrorists and other dangerous individuals to enter Japan disguised as returning citizens. The Japanese government aims to work with the U.S. to prevent such unlawful entry. One proposal would create a temporary holding area for returnees in Busan or Japan. “We are looking at a range of responses” to a crisis on the Korean Peninsula, from securing evacuees and processing their entry to creating and operating holding facilities, as well as determining whether Japan is responsible for their protection, Abe had said at a parliamentary session in April. Bombastic claim made by state-run media a week after declaring a successful test detonation of a hydrogen bomb. North Korea has declared that its recent nuclear test has given it the capability to “wipe out the whole territory of the US all at once”. The bombastic claim was made in a commentary released by state-run media on Tuesday, six days after what North Korea claims was a successful test detonation of a hydrogen bomb. The statement repeated the regime’s insistence that the blast was of a miniaturised hydrogen bomb and that the nation’s scientists had achieved a “new high state” in the development of defensive nuclear weapons. “The test was neither to ‘threaten’ anyone, not to ‘provoke’ someone for a certain purpose”, KCNA said in the article, adding that the purpose of the test was to provide a “sure guarantee” that hostile outside forces would not attack the North. The US is traditionally painted as Pyongyang’s biggest foe and state propaganda claims on a nearly daily basis that Washington is conniving with South Korea in preparation for an invasion of the North. To prevent that, the North’s nuclear scientists are “in high spirits to detonate H-bombs of hundreds of kilotons and megatons, capable of wiping out the whole territory of the US all at once”, it added. Experts are still gathering data and air samples that will permit them to determine precisely what happened at the Punggye-ri proving grounds on Jan. 6, but seismic evidence indicates the device had a yield of around 6 kilotons. That would mean it fell well short of a thermonuclear device – which could be expected to have a yield around 100 times more powerful. The assumption among analysts is that it was a conventional nuclear bomb that was enhanced with fusion fuels, such as deuterium or lithium. Undeterred, Kim Jong-un has been pictured congratulating the nuclear scientists who carried out the test. The North Korean leader expressed anticipation they will go on to “achieve greater successes in scientific research for bolstering the nuclear deterrent for self-defence”, the KCNA news agency reported. Mr Kim is milking the public adulation for the test, with slogans and posters across Pyongyang acclaiming the young dictator for overseeing the success of the North’s latest advance in nuclear weapons.